The Scottsdale, Arizona based Kelly/Warner Law firm continues to attract attention for a wide variety of activities that are garnering additional scrutiny from law enforcement agencies in many jurisdictions – not the kind of attention desired by a law practice. The latest issues under investigation concern the business dealings by principal partner Aaron Kelly that center within the nebulous world of CYBERCURRENCY. This new venture in these shadowy investment schemes under the name of ShipChain caught the attention of the South Carolina Attorney General’s Office. 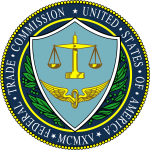 The initial inquiries resulted in a review if “investors” transactions involved investments in the CYBERCURRENCY dealings that were in violation for failure to register transactions with the U.S. Securities and Exchange Commission (SEC). In May of 2018 the South Carolina AG issued an immediate cease-and-desist order which was reported by COINDESK.com. 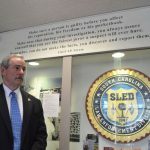 The investigation by the South Carolina AG would determine the “investors” targeted and secured by ShipChain were NOT residents of South Carolina. 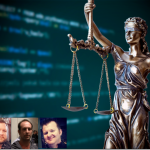 As the “investors” who placed their money in the identified investments of the CRYPTOCURRENCY offerings of ShipChain wereNOT residents of South Carolina, as such the cease-and-desist Order was vacated as there was no legal jurisdiction to enforce the Order with no state constituents being involved as “investors.” The South Carolina AG referred the case over with all investigation findings to the proper local law enforcement authorities of the MANY appropriate jurisdictions (states) wherein “investors” were found to reside. It has been confirmed that active investigations are currently being pursued by the proper local law enforcement agencies to determine any potential criminal liabilities of the principals involved. An independent analysis of the business practices of ShipChain and the manner in which the CRYPTOCURRENCY operation is conducted and marketed to “investors” demonstrate clear violations of the “HOWEY TEST” had occurred as defined by the SEC. It is the violations of SEC regulations based on the “HOWEY TEST” investigated by the proper legal authorities wherein the actual “investors” reside that will be the determination upon which any further action is taken in regard to attorney Aaron Kelly’s association with ShipChain. In a nutshell, the “HOWEY TEST” requires SEC oversight if the return on investment for the “investors” is dependent upon the active participation and competence of the parties selling the CRYPTOCURRENCY opportunity. Unlike a stock broker who has no active role in the operation of the particular stock being sold to the client, it is the principals and managers of ShipChain, such as attorney Aaron Kelly, who are pitching and collecting the investment from the “investors.” It is really a matter of common sense how such a scheme could be fraught with potential conflicts and/or abuse thus requiring SEC oversight to provide protection for the unaware public. As is the case in most get rich schemes in the past, the CRYPTOCURRENCY emergence is the same but with its own unique nuances to the times associated to e-commerce being conducted utilizing the all pervasive Internet. It is when the bubble burst (as it eventually will) and everyone has jumped ship leaving the late “investors” with absolutely nothing ($0.00) that things get ugly. When the complaints of a scam and fraud pour into local state Attorney General’s Office is when the TRUTH will be determined as to the veracity of the original promises made by ShipChain. The simple fact is we have seen this game before – it is just masked and called CRYPTOCURRNECY in this iteration. 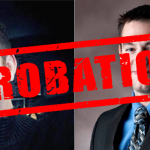 Recently the Arizona Supreme Court accepted a “settlement” (could be understood as a plea deal) that was negotiated between Aaron Kelly and the State Bar of Arizona to be on probation for a 2-year period. The settlement/plea was the result after the conclusion of an exhaustive year and half investigation involving complaints centered on legal work associated with “online reputation repair” services. 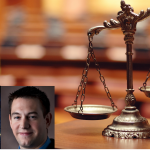 The case involved the filing of multiple lawsuits by Aaron Kelly and his partner Daniel Warner that were found to have named “fake” defendants and/or plaintiffs, and in some cases forged notary seals. The particulars of these lawsuits drew the attention of respected UCLA Law Professor Eugene Volokh who authored posts for the Washington Post law blog concerning the Kelly Warner Law firm’s alleged deceptive practices. Professor Volokh found the findings of his research to have uncovered such blatant ethical violations of the Rules of Professional Conduct he filed the original official complaint with the State Bar of Arizona. He believed these new legal strategies being marketed as “Internet Law” promising guaranteed results to achieve “online reputation repair” amounted to clear abuse of process of the judicial system. Although the disciplinary process stretched out the usual glazier pace totaling 2-years, the effort resulted in the admission of conduct that amounted to ethical violations. The new allegations of potential SEC violations are active investigations and have not resulted in any official charges being levied against attorney Aaron Kelly. 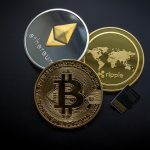 With the issuance of two-year probation by the Arizona Supreme Court, it is unknown how the dealings involving CRYPTOCURRENCY being sold through ShipChain may affect the disciplinary process and/or whether such activities involving SEC violations may or may not fall under the purview of the State Bar of Arizona. Time will tell. This is a divergent development concerning the business practices of attorney Aaron Kelly that will be followed closely and reported upon as new information is made available. Complaint that led to current probation is below. Is Kevin Downing, Manafort’s Lawyer Properly Defending His Client?